It's Important: Avoid Synthetic Fragrances! Some of us do a great job avoiding toxic food products. We avoid GMOs, processed foods, artificial sweeteners, unhealthy preservatives and food coloring agents and perhaps even avoid toxic cooking utensils and food storage containers. Such avoidance is an essential practice for maintaining or regaining health in general and for cancer prevention and recovery specifically. However, many of us are just not aware of how toxic synthetic fragrances are and we unknowingly allow them in the air we breathe, and in the products we put on and sometimes in our bodies. 95% of chemicals used in synthetic fragrances are derived from petroleum or crude oil? Many of these toxic chemicals are linked to cancer, birth defects and central nervous system disorders? You will find these chemicals in many name brand (and cheaper versions of) lotions, shampoos, laundry detergents, and cleaning products? The catch-all term “fragrance” that you see on a product label can include any combination of over 3,000 toxic chemicals? Most perfumes and scented candles utilize these synthetic scents or “fragrance” and can keep the constituents a secret – claiming it a trade secret? When you use a product containing “fragrance” or “parfum,” all of those mysterious toxic ingredients are absorbed right into your bloodstream? 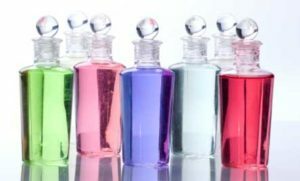 Synthetic fragrances are often endocrine disruptors that mess with hormonal health, weight and mood management? According to the Campaign for Safer Cosmetics, hair products are especially problematic. More than 95 percent of shampoos, conditioners and styling products contain fragrance as an ingredient? Two synthetic substances, styrene and phthalates, both of which have been linked with cancer, are banned by the European Union but in the U.S, don’t even need to be identified as more than fragrance? According to the Breast Cancer Fund, when it comes to the prevention of cancer, avoiding synthetic fragrance is one of the main ways to help yourself? So What Can You do To Avoid Everyday Exposure to Synthetic Fragrances? You can use 100% pure essential oils in your cleaning and self-care products. These not only provide a variety of delicious scents, they have cleaning, anti-microbial, and health benefits. Here are just 5 (of thousands of) ways to use them. Lemon is a natural degreaser, antimicrobial, glass cleaner and air freshener. Rosemary, lavender and tea tree oils are very healthy for hair and can be added to simple non-toxic hair care products. Helichrysum, frankincense, sandalwood, and lavender added to homemade or store-bought non-toxic skincare products provide anti-aging and skin repair benefits. Essential oils added to a non-scented, non-toxic laundry detergent or placed on wool dryer balls, can scent your laundry or replace toxic dryer sheets respectively. Jasmine, neroli, sandalwood, and ylang ylang used individually or in blends can be used as beautiful, natural, health-promoting perfumes (or added to lotions) while wood oils like cedarwood can be used to make healthy men’s personal care products (colognes, aftershave or shaving lotions). The caveat is that you must avoid synthetic, oxidized or adulterized essential oils which often attempt to present themselves as natural, high quality oils. If you want to know which oils I use with 100% confidence in their purity and effectiveness (and why I can say that), please contact me. I can also share oils and DIY blends to support your physical and emotional health, healing and wellbeing. 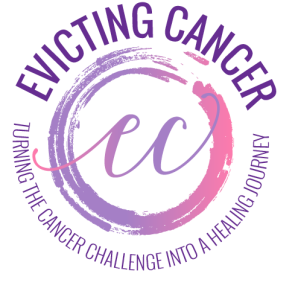 I can even show you how to get the oils wholesale like I do and how and why I’ve created an essential oil lifestyle for myself, my family and for most of my cancer clients. Susi Roos…supporting you on your healing journey.